Palau is a tiny nation with a delicate environment and a newly founded democracy. The effects of climate change have the possibility to create instability within the country, which can lead to social unrest, mass migration and even violent conflict. As the climates continue to warm, rising sea levels, natural disasters, rising temperatures and more fickle precipitation patterns have the capacity to be a flashpoint for conflict. This situation is exacerbated because Palau bases so much of its gross domestic product (GDP), about 45%, on its ocean and coral reefs. Currently, Palau enjoys a maritime tropical climate with average humidity of 25% and average temperatures of 81 F degrees with little annual or daily fluctuation. Rainfall is generally plentiful, averaging 150 inches per year. Although Palau is periodically affected by the El Nino Southern Oscillation, until recently, this phenomenon has resulted in only short-term disruptions. Most important, Palau lies south of the prevailing typhoon belt and thus avoids the frequent storms endured by many of its neighbors. However, as the climate continues to warm, more frequent El Nino events will cause increased destructive weather patterns, higher sea levels and fluctuating levels of precipitation. Most of Palau's infrastructure and economic development activities are located near the coast making them acutely vulnerable to storm events and sea level rise. In fact, twenty percent of Palau's landmass is below 10 meters above sea level. The Green Peace 'Islands in Peril" report estimates that several of Palau's inhabited islands may disappear within the next 100 years. Already, some of Palau's Rock Islands have succumb to sea level rise and currently, the inhabited areas of the islands of Kayangel, Angaur, Peleliu, and the Southwest Islands are of high concern. The Intergovernmental Panel on Climate Change (IPCC) predicts that sea levels will rise an additional 0.23 to 0.47 meters before the end of the century if global fossil fuel use is not significantly reduced. The Asian Development Bank (ADB) document predicts a rise of 0.2 to 0.9 meters by 2100. The Paluan Government spokesman recently said, "A projected one meter rise in sea level over this century will render much of Palau's coastline uninhabitable and seriously impact on biodiversity, human settlements, human health, and the national economy." According to the Global Flood Map, if sea levels rise by 18 inches, 582 persons will be displaced and if sea level raises 100 inches than 1,275 persons would be displaced. The graphic on the left depicts the mean sea level from 1970 to 2010 and the graphic on the right shows the global rise in sea level between 1992 and 2008. According to recent analysis published by the ADB, Palau temperatures are projected to increase 0.49 degrees C to 1.13 degrees C (0.88 degrees F to 2.03 degrees F) in the coming 40 years. 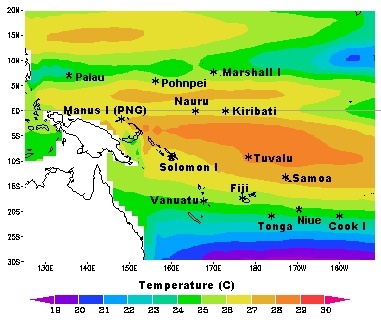 Other analysis suggests that by 2050 maximum temperatures will rise by 0.2 C. More recently, Palau has experienced a variation of 3 degrees C in sea surface temperature over the past five years. 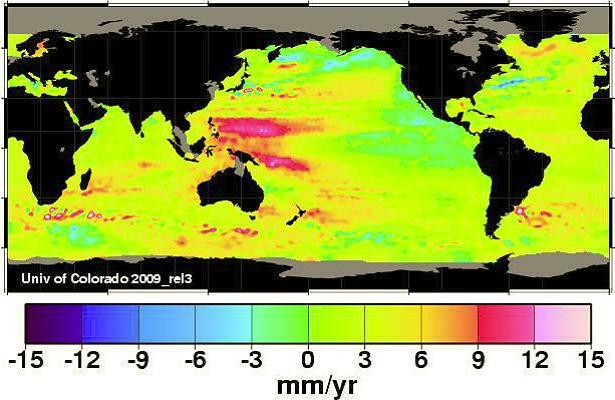 This significant variation in sea surface temperature is directly attributed to global warming. Most corals and marine life are sensitive to even the slightest variation in water temperature and a large percent of marine organisms are already living at their threshold. Higher ocean temperatures will threaten coral reefs which in turn will threaten marine life, food security, fisheries, and tourism. Additionally, the El Nino and La Nina are primarily generated by the noted shifts in sea surface temperature fluctuations in tropical and subtropical regions. The Republic of Palau is made up of about 350 islands in the far western Pacific Ocean. It stretches between 2 and 8 degrees north of the equator, with the main island 12 group lying between 6 and 8 degrees north latitude and 134 and 135 east longitude. It is approximately 3220 kilometers south of Tokyo and 1600 east southeast of Manila. 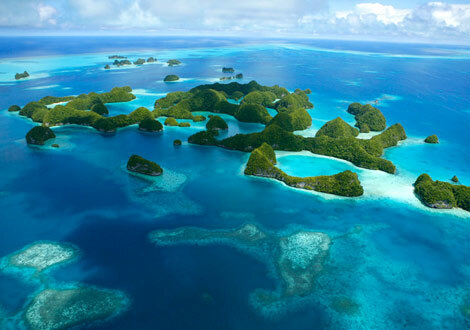 Palau has a total land mass of 487 square kilometers. The largest island is Babeldaob, with an area of 334 sq. km. Ten of Palau’s 16 states lie on this island. The capital is Ngerelmud, located in Melekeok, on the central east side of Babeldaob. South of Babeldaob is the island of Koror, which is the central commercial site and former capital of the Republic. Stretching south of Koror for 45 km are hundreds of tiny mushroom shaped islands, the world renown “Rock Islands”. 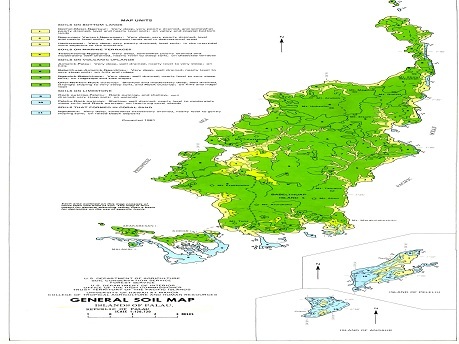 At the southern boundary of the Rock Islands is the low island of Peleliu and 11 km south of Peleliu is another inhabited island low island, Angaur. 360 km southwest of Koror are two more of Palau’s states, Hatohobei and Sonsorol, which are composed of groups of tiny atolls. Though relatively small in total land area, Palau has a coastline of 1,519 km. Palau is susceptible to a wide range of climate-related hazards and associated extreme events, including floods, droughts, wildfires, sea level variation, high waves, tropical cyclones, coastal inundation, and erosion. According to the International Federation of Red Cross and Red Crescent agencies, the number of people in Oceania affected by weather-related disasters has increased from 1.2 million to 18 million in the past thirty years with droughts, extreme temperature events and tropical cyclones producing the most significant impacts. In 2001, Tropical Storm Utor with wind speeds of up to 120 km/hr, caused minor damage to infrastructure, mainly due to minor landslides caused by excessive rains. Additionally, the El Nino of 1998 bleached 30% of Palau's coral reefs in some areas and in some extreme cases 100% of the corals were bleached. 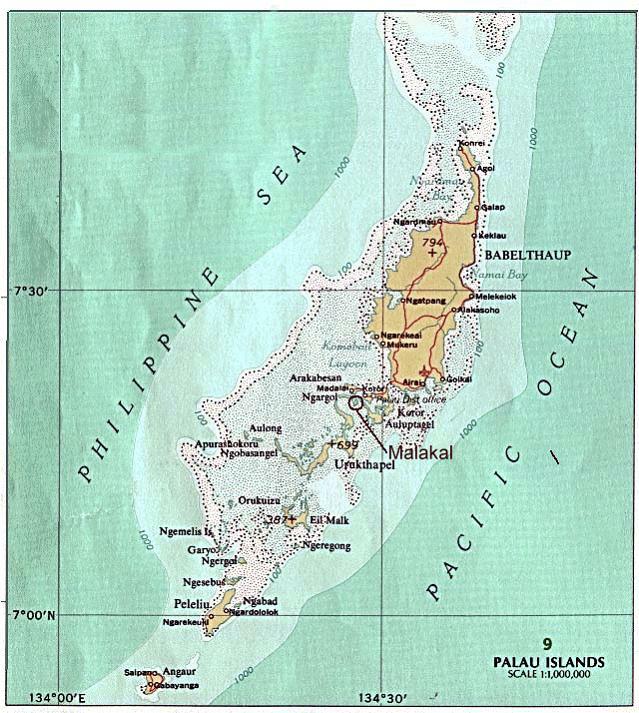 Palau experienced a nine-month drought during the 1997/98 El Nino event. 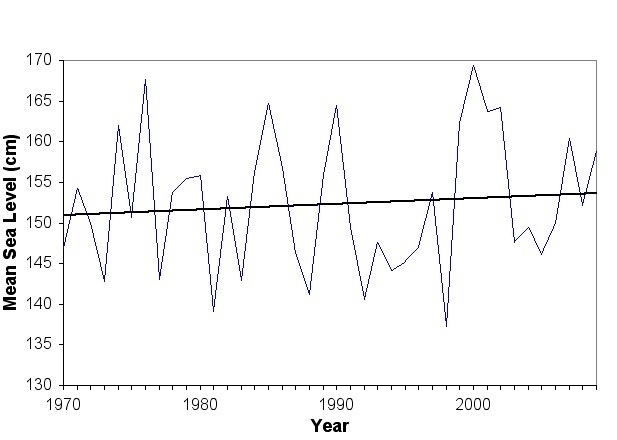 In March of 1998, Palau had the lowest rainfall on record for the past 100 years. Water inventories of that period indicated that Palau would not have been able to sustain an additional three months. The economic cost of these events are detrimental, in this case the loss of tourism was estimated at a 3.3% reduction in GDP. As the climate continues to warm these extreme weather systems are estimated to be more frequent, intense and persistent causing an increase in floods and droughts. Palau has the most diverse coral fauna of Micronesia and the highest density of tropical marine habitats of comparable geographic areas around the world. Palau's reef boast 425 species of coral, 300 species of sponges, 200 species of cnidarians and 1,278 known reef fish. As seen in the image below, Palau is just north of what marine biologists call the "Coral Triangle"" because this area is home to the highest densities of hard and soft coral species. Palau is home to 525 square kilometers of total coral reef; a combination of barrier reef, atolls, fringing reef, and patch reef. 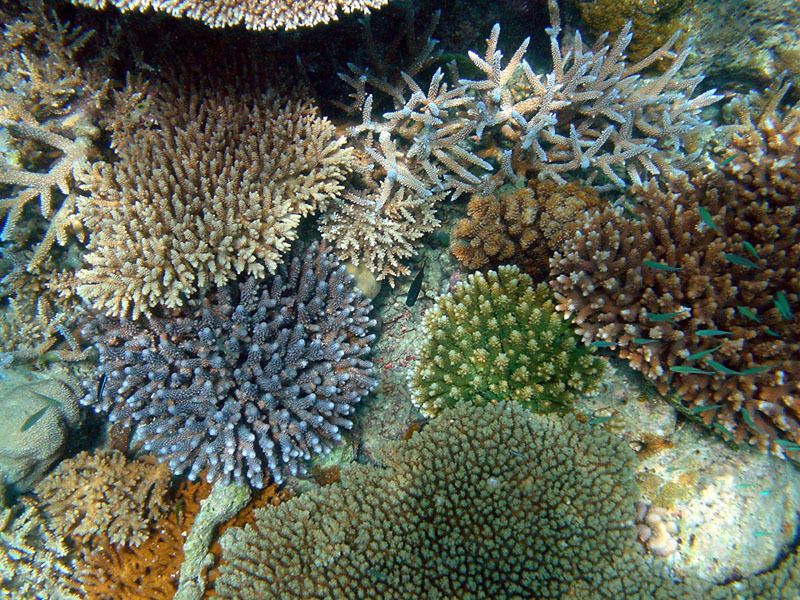 The 1997-1998 bleaching event in Palau was widespread and killed a large amount of coral throughout Palau's reefs. As the temperatures rise, corals are nearing there temperature threshold and once reached can lead to bleaching events. 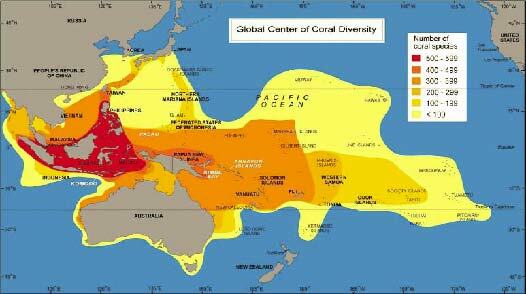 In addition, climate warming increases the chance of corals getting diseased and raises ph and acidity levels. Palau derives around 45 percent of their GDP from its tourism industry, thus making the health of the reefs of utmost importance. Year to date statistics for April 2011 show a 19% increase in tourist arrivals compared to April 2010 year to date statistics. Palau has taking aggressive moves to protect their reefs, In November 2003, the Palau Protected Areas Network (PAN) Act was signed into law. The PAN provides a framework for Palau’s national and state governments to collaborate to establish a network of terrestrial and marine protected areas (MPA) to protect areas of biodiversity significance, important habitats and other vulnerable resources. As of 2009, there were 31 MPAs, covering more than 40% of Palau’s near-shore marine area. 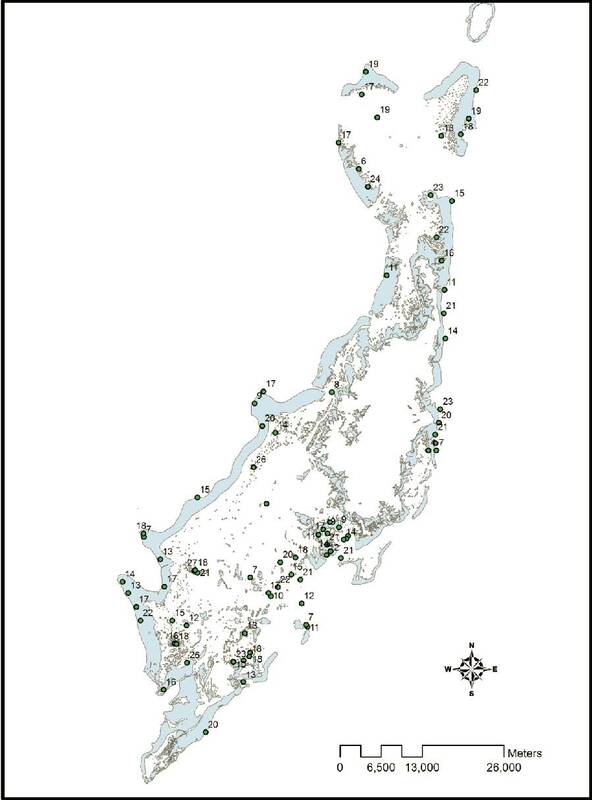 The below map shows areas inside the MPAs, the dots represent the long-term coral monitoring sites. 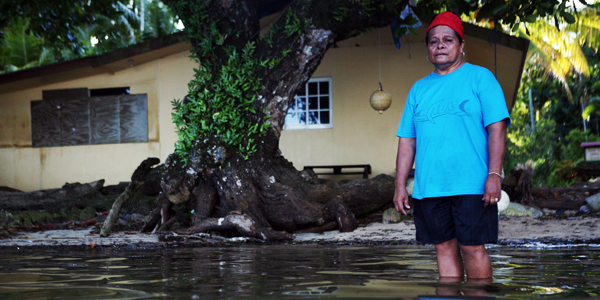 Saltwater inundation is a serious problem that is plaguing farmers in Palau. Even though agriculture in Palau is relatively small in scale, contributing only 6.2% of the GDP, there are a lot of small-scale taro farms dispersed around the main island of Babeldaob. The crops are usually cultivated very close to the sea and face a grave threat of saltwater inundation and wave overtopping. During the 1997/98 El Nino and coral bleaching events, one third of Palau's population was also affected by the more than 90 percent loss of their taro crops due to saltwater intrusion and sea level rise. Food insecurity concerns resulting from reduced food production due to salt-water intrusion and soil salinity have become more of an issue as the climate continues to warm at a faster pace. Palau has started programs looking at adaptation that will include expansion of traditional agro forestry, renovation of traditional water management systems, selection of salt tolerant species, improved conservation farming, and management of fire, pests, and invasive species. Although Palau's absolute level of greenhouse emissions is small (0.0004% of global emissions), emissions per capita are above the world average (4.69 tons per capita against a world average of 4.02). 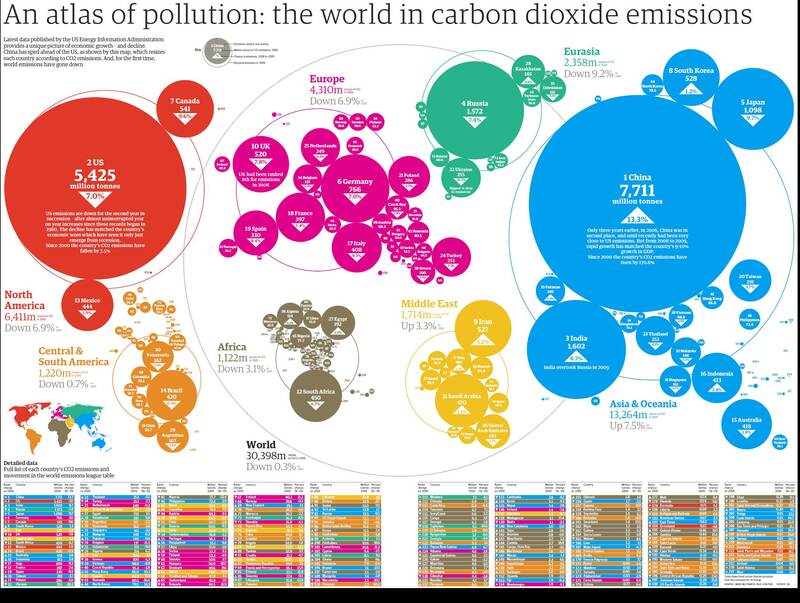 The graphic below visualizes each regions and some countries carbon dioxide emissions, as one might expect, China, United States and India lead the way, in that order. The conflict which can break out in Palau is geographically centered and would initially only be a civil issue, however the conflict could cause emigrations to the neighboring island nations of Micronesia, Philippines, Malaysia and Japan. If mass conflict were to breakout it is possible that a United Nations peacekeeping force be brought in. Palau was initially settled more than 4,000 years ago, probably by migrants from what today is Indonesia. British traders became prominent visitors in the 18th century, followed by expanding Spanish influence in the 19th century. Following its defeat in the Spanish-American War, Spain sold Palau and most of the rest of the Caroline Islands to Germany in 1899. Control passed to Japan in 1914 and then to the United States under United Nations auspices in 1947 as part of the Trust Territory of the Pacific Islands. Four of the Trust Territory districts formed a single federated Micronesian state in 1979, but this eventually dissolved as the individual districts--long culturally distinct--opted for more locally popular status. Palau approved a new constitution in 1981, subsequently signing a Compact of Free Association with the United States in 1982. After eight referenda and an amendment to the Palauan constitution, the Compact went into effect on October 1, 1994, marking Palau's emergence from trusteeship to independence. As of today the fatality level of the possible dispute is zero because no Palauans have died in a conflict due to global warming. 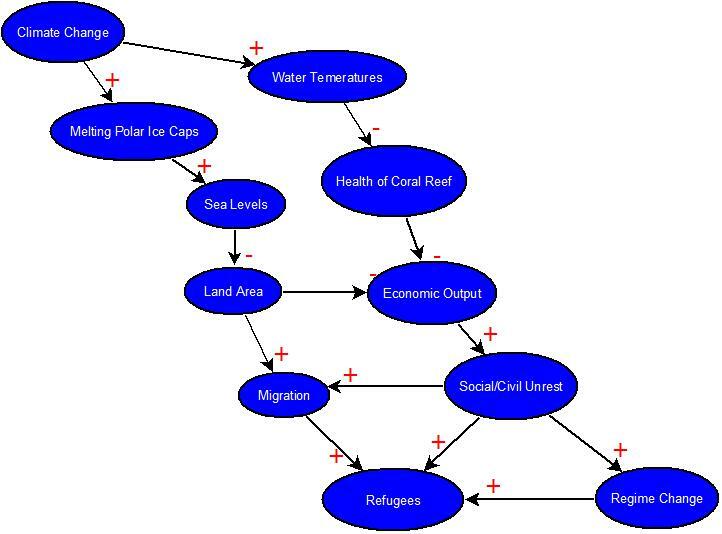 It is possible that global warming could cause a conflict that could claim a large percentage of the 20,000 residents of Palau through civil war that could break out as the sea levels rise, land becomes scarce, and the economy of Palau starts to dissipate. A high death toll is unlikely in that most residents would likely emigrate. Since Palau is an isolated island nation, their conflict wouldn't be global in nature, but in extreme scenarios, it could spillover to neighboring Pacific island nations and possibly to island nations in Southeast Asia.